We have embarked on the BloomBack movement to make a positive difference in lives. So it is heartening when partners express interest in BloomBack and are supportive of our cause. With partners who share our vision in doing social good, BloomBack is then able to better serve its purpose. 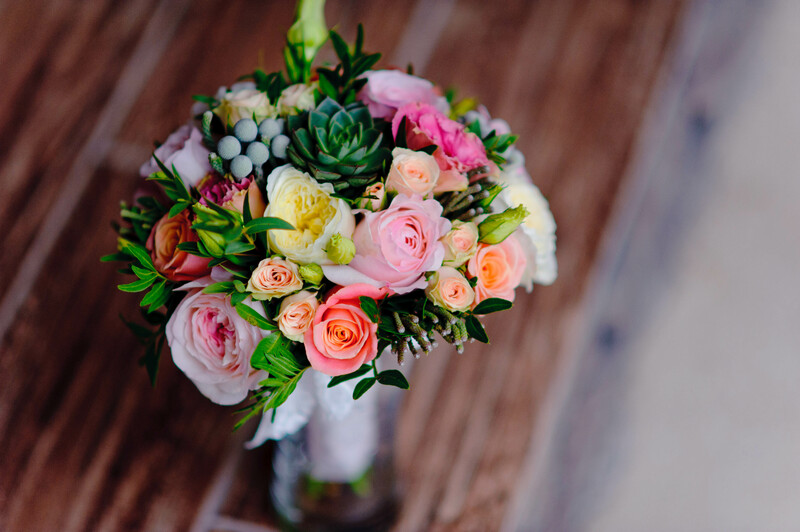 The first two BloomBack bouquets on our website are the products of a private flower arrangement session with Ashley, owner of Ashley Floristry and one of our partners. To come up with these two lovely bouquets, Ashley and I made a trip to GG Fresh Flower to personally handpick the flowers. Being new to this, I learnt only upon arriving at GG Fresh Flowers that I was underdressed for the cold room. Merely 10 seconds into the cold room, I had no choice but to make a dash for the door. Unlike me, Ashley was better equipped to be in the cold room – at least she had a sweater! Fortunately, a staff lent me his sweater. I could finally stay long enough in the cold room for me to assist Ashley in picking out flowers that are a right fit for BloomBack’s bouquet. Even though the flowers in the cold room were a good distraction, I found myself trying hard to fight the cold. I even joked that I will bring gloves on my next visit. After two hours in the cold room, we finally decided on carnations, lisanthums, rose sprays, baby’s breadth, coin leaves and lilies with multi-petaled blooms. Collectively, the flowers exude an easy elegance. 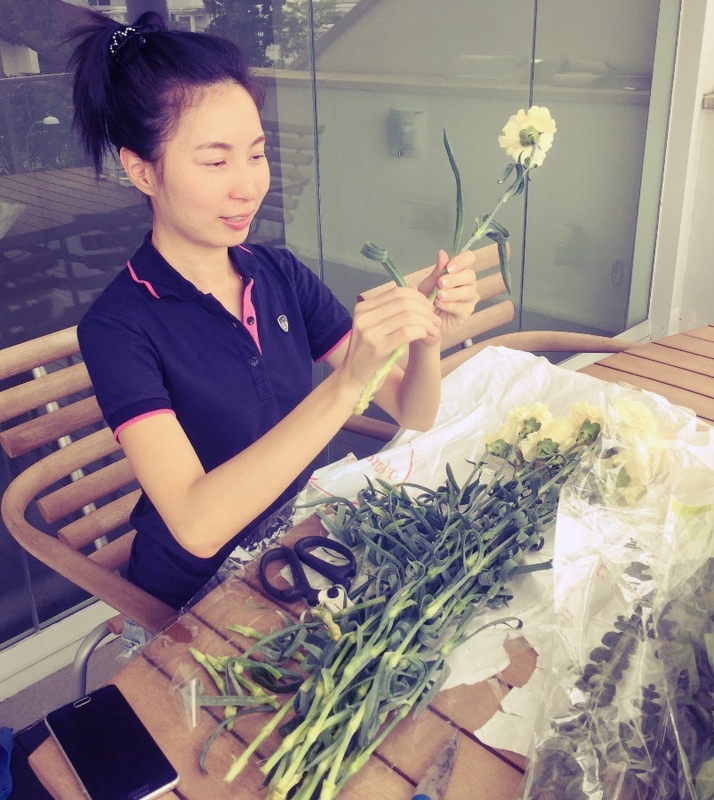 After making our purchase, we went to Ashley’s place to design the bouquets. We first soaked the flowers in a pail of water and plant food to keep the lovely flowers properly hydrated. And then we got busy snipping and flower arranging. True enough, the pleasing hues of flowers lifted my spirits. Coupled with the aromatic scent of organic flowers, I felt instantly invigorated. The fact that we were working at a roof terrace made the entire experience that much more therapeutic. Two hours went by very quickly. By then, we had three stunning bouquet designs. Looking at the finished work, I felt a deep sense of satisfaction. While Ashley moved on to work on a medium-sized table centerpiece comprising a mix of deep red and purple flowers, I stood back to take in the beauty of flowers before me. Indeed, flowers have an appeal that delights, captivates and soothes. 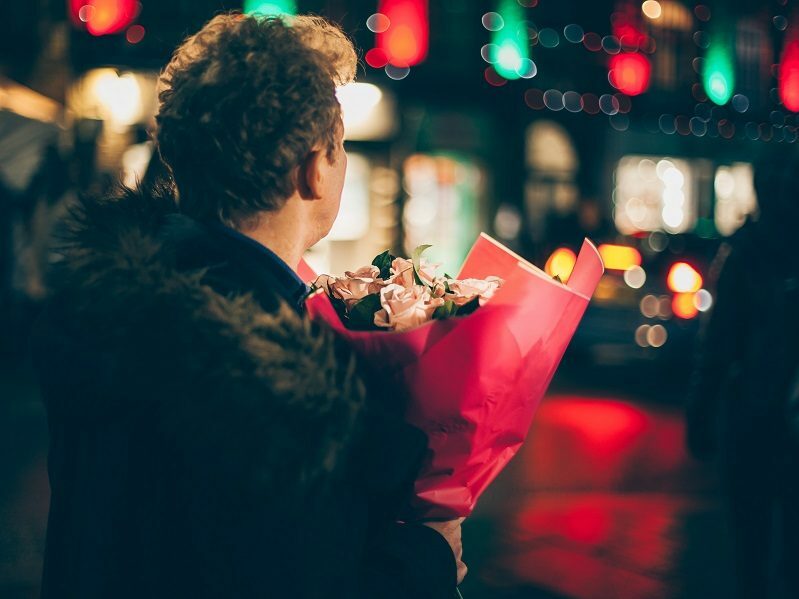 If you would like to send someone a beautiful BloomBack bouquet, click here. If you would like to sign up for a flower arrangement workshop, please contact us.